In the wake of the Iranian election hundreds of thousands of supporters of Mir-Hossein Mousavi are taking their very lives in their hands to protest the election result which saw Mahmoud Ahmadinejad retain his presidency by a large margin. Ayatollah Ali Khamenei has threatened “bloodshed” if the protests continue — but they do continue, and who can guess how far this will go. 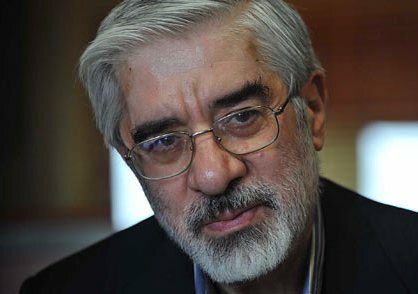 I, like Mousavi’s supporters, think the election was probably, somehow, rigged. But I find myself in complete agreement (do wonders never cease?) with President Obama on the proper American response to that election, i.e., let Tehran know how we feel about the attempted silencing of the protesters and about the blood that has already been shed by the Iranian “Nazi” army, and leave it at that. President Obama also went on to say something else. He said, “It’s not productive, given the history of U.S. Iranian relations, to be seen as meddling.” That probably need not have been said — since it can be portrayed as weakness — but it is an excellent internal White House policy. John McCain, ever the 21st Century man, “twittered” his feelings on the Iran situation: “Mass peaceful demonstrations in Iran today, lets support them & stand up for Democracy and freedom! President & his Admin should do the same.” McCain didn’t really specify what form that “support” should take, but one feels that he is advocating a covert but active role in the forces behind Mousavi. Many, many other conservative politicians and especially commentators feel as McCain does — they seem to want us to motivate an uprising against the theocratic government, but it is pig-headed blindness like that that may lead us into another unwinnable situation. McCain and the others fail to understand what Middle East experts are saying about Mousavi: he does not desire a change in government, he only advocates a change in the “tone” of government — he wants to join the 21st Century and take the theocracy with him. With mullahs in charge that will likely never happen, but that seems to be his game plan. That’s just one reason any involvement in the Iranian situation on our part, with the objective of drastic change, would certainly be a lose-lose situation for the U.S.A..
Aside from the Iranian election aftermath, it’s well past time for the U.S. to stop stirring the “let’s spread some more democracy” pot. I’m sure it gives the majority of Americans a warm and fuzzy feeling inside to be able to say we are the saviors of oppressed people around the world, but the President has it absolutely right — it’s meddling, and it’s no more correct for us to meddle in other countries politics than it would be for them to meddle in ours. One final thought: The best friend you could have had in high school when trouble came your way was that 6′ 5″, 200 lb football player standing next to you looking imposing and invulnerable. He was a friendly, happy, non-judgmental guy, but everyone knew that if he was provoked he could be as vicious as a grizzly bear. In the eyes of the world, the U.S. needs to emulate that football player. Unfortunately, that possibility is as unlikely as a change in the “face” of Iran. President Obama does not appear to be a man with a mind of his own. Whatever public opinion suggests and whatever his advisers lobby for will be our constantly-changing policy. I thought President Obama should have spoken up sooner and said more about the post-election violence in Iran. With what he’s said now, I agree with you. That’s enough for us to say, at least at this point. It may be necessary to make it clear later on that our willingness to deal with Ahmadinejad and the mullahs might be lessened if the violence continues and/or gets worse. I also agree that the statement about our past record in dealing with Iran was a bit too much. It’s true, but it sounds too much like an apology, which Obama is good at. We need to spend less time apologizing and more time conducting realistic foreign policy, hard-nosed at times if that’s necessary. I agree, Iran needs to rectify their differences without U.S. intervention. Our nation is very poorly set up to deal in foreign policy matters at this time. The Presidents policy of blame America first has not had the effect of endearing us to our enemies.